At the beginning of the 2014 Shanghai Eighth International Food Machinery and Equipment Exhibition, the three major industrial groups of Shandong Zhucheng Slaughtering Machinery Industry Group, Jiangsu Zhangjiagang Beverage Machinery Industry Group and Jiangsu Changzhou Drying Equipment Industry Group signed up for the exhibition. Brought a good start to the 14 years of bailout work. The strong growth of the food industry, the vigorous development of China's food machinery industry, manufacturers continue to innovate in product technology, design, business management and other fields. At the same time, they need to develop new markets and develop more high-quality customers. The East China region is also the most important area for the food industry. It has a vast market of 450 million people and provides exhibitors with an excellent platform for promotion, publicity, and finding distributors and agents. The Organizing Committee of the 8th International Food Machinery and Equipment Exhibition is ready to increase its service for businesses. From the point of view of the best, we strive to maximize the effectiveness of our exhibitors. This exhibition is a well-known exhibition of food machinery and packaging equipment in China. Every year, professionals from the global trade conference gather at Shanghai International Food Machinery and Packaging. Equipment exhibition, introducing, exploring and exploring the latest international trends, latest products, and finding the best business opportunities recently. At present, companies in neighboring countries are optimistic about the Shanghai International Food Machinery and Equipment Exhibition. A large number of companies participate in the exhibition every year. Through participating products, trade and cooperation are carried out. In the 14 years of bailout work, there were 185 companies registering enthusiastically and it is expected that there will be new breakthroughs in the scale of the conference. 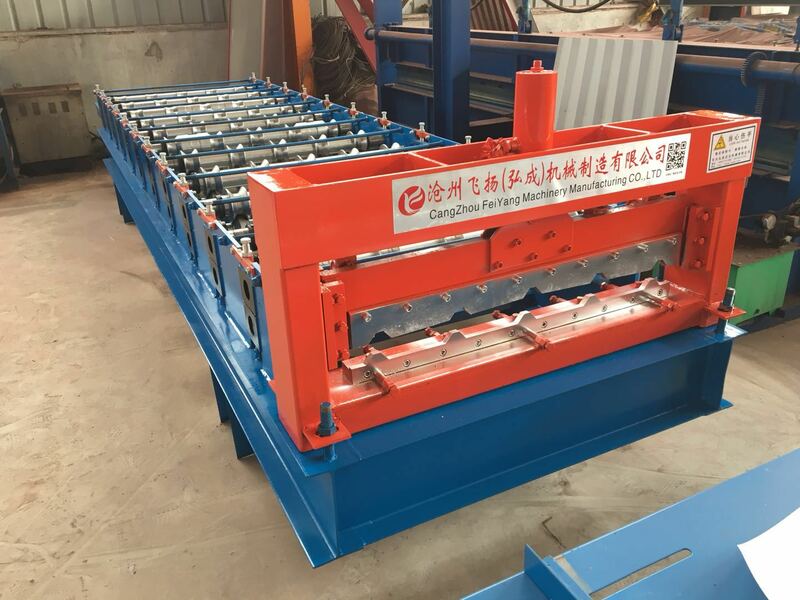 Roof and Wall sheet,IBR sheet roll forming machine is a roll forming equipment that produces metal roofing sheets with adjustable effective width from Galvanized steel mostly for African markets. IBR sheet, usually applies for the outside cladding or roofing materials in commercial, industrial and residential buildings. IBR is an abbreviation for Inverted Box Rib, an angular trapezoidal fluted profile sheet with a bold appearance which makes it both attractive and practical. (1)IBR sheet is designed to provide the most advantageous load/span characteristics consistent with economy. (2)IBR sheet offers stiffening ribs in the sheet which help to remove oil canning from the broad flute. (3)IBR sheet can be factory cranked, curved and bullnosed to a wide range of radii. Previous: The fourth request from the country begins. Cummins completes the answer of 100,000 sets.